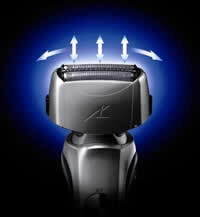 The Panasonic ES-LT41-K Arc3 electric shaver provides solid technology for a good price. 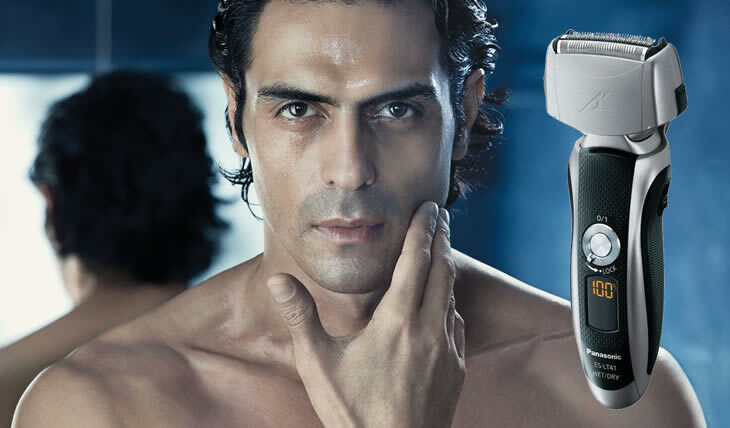 While this shaver doesn’t have a lot of bells and whistles, you can trust the Panasonic name to deliver a good clean shave. 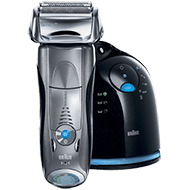 This electric shaver is a cordless model, and can be used wet or dry, and has a flexible pivoting head so you can get at all the whiskers on your face. It also has a good grip, so you won’t drop your shaver in the sink, even when you’re half asleep in the morning. If you’re looking for good value for your cash, this shaver falls just under $90, so it’s quite affordable. 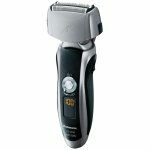 If you want the latest electric shaver, with all the gadgets, then check out some of the other offerings in the Panasonic product line. But for those who trust the Panasonic name, or wishing to give Panasonic a try, you really can’t go wrong. The Panasonic ES-LT41-K Arc3 comes with an attractive black and silver casing. This cordless electrical shaver comes with an internal rechargeable battery, so you don’t have to waste regular batteries. There’s also an automatic universal dual voltage (100-240V) adaptor, so you can bring your Panasonic ES-LT41-K Arc3 electric shaver on your trips around the world. Special Japanese technology used to forge swords is recreated here by making the sharpest hardest electric shaver blades ever possible. Most Panasonic shavers come with either three blades or four. 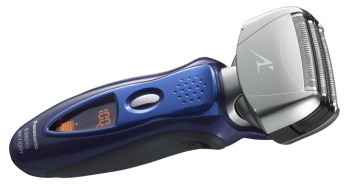 The Panasonic ES-LT41-K Arc3 comes with the standard three, for basic shaving. 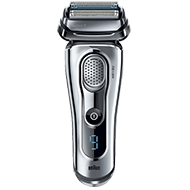 The shaver has an “ultra-thin foil cutting system” with nano blades at thirty degree angles to your skin, which seems to be pretty standard for a Panasonic shaver. The Panasonic ES-LT41-K Arc3 may look simple, but it’ll still provide a clean and comfortable shave. 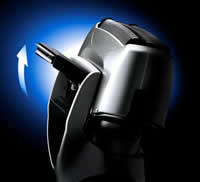 The shaver is designed to float around the contours of your face, especially near the chin and sideburn regions. The blades and foil are designed with hypoallergenic metal, preventing irritation for even the most sensitive skin types. All three blades are independently floating free from each other. 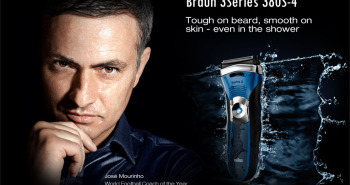 Often it is difficult for men with long beards to find the ideal electric shaver, as they don’t provide the performance needed to trim beards. The slit foil on this electric shaver allows trimming of long beards, so two different shavers don’t have to be purchased. 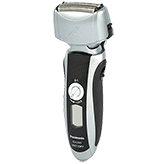 A built-in pop-up trimmer seems to be fairly standard in most Panasonic electric shavers and can be used to trim beard, goatee, mustache, sideburns and other stray hairs on the face. Most Panasonic shavers seem to come with a 13,000 CPM linear motor drive, though higher end models do have faster power performance, but even the 13,000 CPM motor outperforms other similar brands in its class. The motor holds it own, even when the charge is near 0%, without tugging or yanking at hairs. This shaver has a flexible pivoting head to get into all those hard to reach spots on your face and neck. The head pivots back and forth, at approximately an angle of twenty five degrees, and twenty degrees from side to side. It’s designed to be used wet or dry. You can shave with plain water, shaving gels and foams, or shaving lotions. The shaver is 100% waterproof, and can even be used in the shower. An LCD screen readout tells you whether your battery charge is at 100% or 10%, indicating that it’s time to plug it back into the outlet for charging. A handy lock button slides clockwise or counter-clockwise so you can lock your shaver up, preventing it from turning on during transit, and thus eliminating the surprise of having a dead electric shaver once you reach your destination. With this model of the Panasonic ES-LT41-K Arc3 it doesn’t have the separate cleaning and charging unit. You simple attach the power adaptor between it and the wall. To clean the device, you simply open up the head and rinse it under the sink. There is a sonic vibration cleaning mode which will help speed up cleaning, getting out even the most stubborn tiny hairs caught in the foil and blades. The Panasonic ES-LT41-K Arc3 comes with electric shaver, travel pouch, and AC adaptor in its product packaging. The shaver weighs in at a light 7.1 ounces, being quite comfortable to hold in your hand. Additional blades and foils can be purchased separately, and it’s recommended that they’re replaced at least once a year, providing optimum performance for your electric shaver. If you’re looking for a reliable but simple shaver, the Panasonic ES-LT41-K Arc3 will give you a close, clean shave, without breaking your bank account.